A Life Bound By Books: Haunted Hallowen: Sean Ferrell + A Giveaway! Years ago, before I was born, thunder woke my grandmother in the middle of the night. She sat up because of a presence in the room. Standing at the foot of her bed was my father, soaking wet, dripping rainwater onto the carpet. He looked at her and said, "I am all right. I saw the rain." My grandmother blinked and in that moment my father was gone. She was certain something had happened to him. Miles away my father was standing at the side of a highway, getting soaked in the thunderstorm. He had been driving home. He hadn't seen the car with its lights out, didn't see that it had broken down, perpendicular across his lane of traffic. He didn't see the driver in the road behind the car waving his arms. He only saw the car when his smashed into it. When the accident was over he heard children crying. Amazingly, no one was hurt. But as he waited for the police and the tow-truck, he stood beside the wreckage, getting soaked, as the rain dripped off of him, thinking of how close he'd come to being hurt, or hurting someone else, or worse. 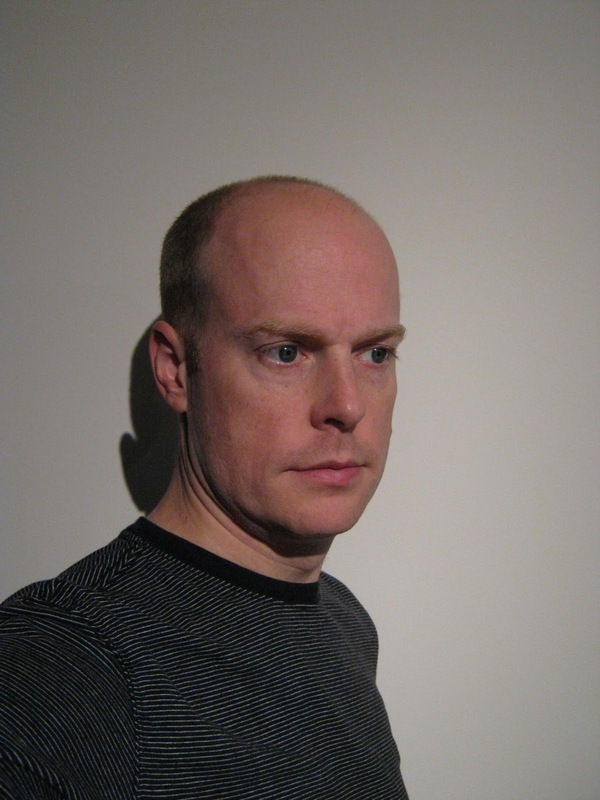 Syopsis: Numb, a man who feels no pain and has no memory of how he came to be this way, travels to New York City after a short stint in the circus to search for the answers to his past. But when word of his condition spreads—sparked by the attention he attracts from letting people nail his hands to bars for money—he quickly finds himself hounded on all sides by those who would use his unique ability in their own pursuits of fame and fortune. There’s the best friend who doesn’t quite know how to handle Numb’s newfound celebrity, the savvy talent agent who may or may not have Numb’s best interests in mind, the sadistic supermodel whose idea of a good time involves lion claws and can openers, and the blind girlfriend who might actually see something in Numb others don’t. As Numb navigates this strange world, and as he continues to search for clues from his past, he is forced to confront one of life’s toughest questions: Who am I? A Signed copy of Numb!!! You MUST complete the form to enter. No entries in comments please they won't count. Comments are welcome, so share your love with Sean! You must be at least 13 years old to enter. This contest is open to to US or Canadian residents only. Sorry! Good luck to everyone who enters. If you have any questions, please see my policy page or feel free to email me with any questions. that you agreed to be part of our event. Check out Jessica's Haunted Halloween post with @Vishous_BDB from the Black Dagger Brotherhood! Come check out his story about his first prank! REMINDER: *If you are interested in the COMMENT CONTEST, remember to include your email address with your comment for an extra entry. Please ready full entry rules HERE. *I am not compensated at all for any of the links within this page. Weird. I almost think it'd be kind of odd not to feel pain. Sounds like an interesting read. What a cool story. I've heard about a lot of people that just knew something bad had happened to someone they really loved before finding out about it. Nice story. Numb sounds awesome, thanks for the contest! Fun! Can't wait to read the book! Oh that's weird! And chilling. Whoa, thats a spooky story. Thanks for the giveaway :D This book sounds good! Wow! That's kinda scary, lol! I actually believe things like that happen every once in a blue moon. Not necessarily a loved one popping up right there in front of you but having some connection to them, some gut feeling when something terrible happens. Thanks for the chance to win! I love the story! Wow, that's crazy! I haven't heard of something like that, where the person hadn't died, but still showed up like a ghost. Very interesting! Looks good, Thanks for the chance! That was an odd story, but great,anyway. Sometimes I think the strangest things can happen, like this, and they can be true. My mom has had experiences similar to this, so I wholeheartedly believe it happens. Thanks for sharing. This sounds like a really great read! Congrats to Sean and all of his success!! Looks like a very interesting book. hmm...that had to be a weird, chilling experience for your grandmother. I know I wouldn't be able to sleep again until I talked to them if that happened to me. Not sure which struck me as more odd...the story of your grandmother's clairvoyance or the blurb about your book...both gave me chills, but for different reasons. I'd hate to be totally numb. Wow the story was really interesting to read! 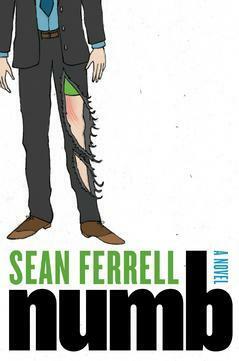 Numb sounds like a good book; it must be sorta cool to not feel pain, but also dangerous. Thanks for the giveaway! Wow interesting story! It'd be cool to be numb, but also scary because you can't feel the pain that's hurting your body..
Oh my goodness what a strange story! He was so lucky that no one got hurt, and it's freaky that the grandma dreamed about him..
that was a cool story! Thanks for sharing! Interesting story. o_o Weird, but interesting. wow, interesting... thanks for sharing! WOW creepy story. Thankfully no one was hurt. I thought his grandmother was seeing the ghost of her husband. But I'm glad no one was hurt or killed.